Hi everyone! Have you taken your time to look at the new stamp sets yet? If not, head over to the store to check it out. Psst! 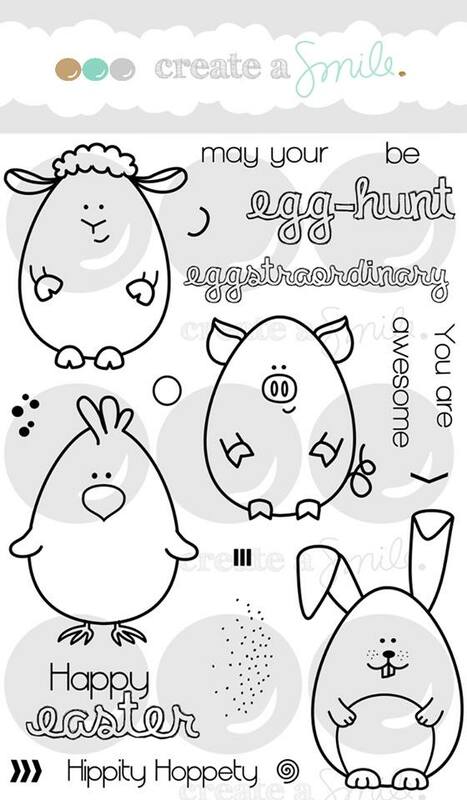 I heard it's a super popular release so get those stamps before it runs out ;) Today, I'm sharing with you a card using one of the new sets called Eggstraordinary Egghunt. I've made this card to show you how you can use your dies to give your stamps a different look and that you don't need to colour your images perfectly and it still looks cute (I hope, hehe). For this technique of no-line colouring, I like to use a very light ink as the base. Since I'm watercolouring, I like to use Antique Linen Distress Ink to stamp out my images. Distress ink reacts with water, which makes it easily to give an illusion that the images was not even stamped after you've after coloured it. It looks very light on camera but you can see still the images in real life. I've also used some masking paper because I wanted the Eggs to overlap each other. I've used the wet-on-wet technique to watercolour. Meaning, I used my brush and wet the areas that I wanted to colour with clean water first, then I drop in my colour. I'm not being too careful that I hold the shape of the details of the eggs (example, the hands, feet). I wanted them to look like they were sketched out. To facial features back to the images, I just took my distress marker and drew the eyes, following the original image as much as I can. I used some alphabet dies from My Favourite Things to cut out the word "Happy" over the images. I took some dimensional adhesive to stick the alphabets so that it will stand out of the images. You can die-cut the alphabet multiple times to stack them up instead of using dimensional adhesive. Awesome card... and TFS this technique. Look so fun! I may have to try it one of these days. OMG how great is this idea ;)) I have to "lift" your inspiration !!!! !